Ever wondered how movies are filmed? Then we’ve got some great news for you! Today, we’re starting a series of posts with backstage material. Straight from the filming process of the first Lynx episode (Head Hunter). Excited? So are we! And for a good start, we’ve decided to show you a fragment of the most complex scene of the episode. Specifically – the scene in the bar, where detective Linda Lynx finds Crazy Ted, the motorbike gang leader. Ladies and gentlemen, meet Sophia Toropchina. She is the beautiful lead actress playing detective Linda Lynx in the series. Sophia is the strong spirit behind the capture of Crazy Ted, the biker that surely has made everyone nervous trying to escape from the police interrogation! Sophia is great to work with. Flexible and highly concentrated, she has shown great professional skills. And a vibrant personality too. No matter what was going on, Sophia was always in a great mood and very supporting for everyone in the backstage. We’re happy to welcome you in the RexTale family, detective Lynx! And this is officer Craig Roberts, played by Khalavko Ostap. 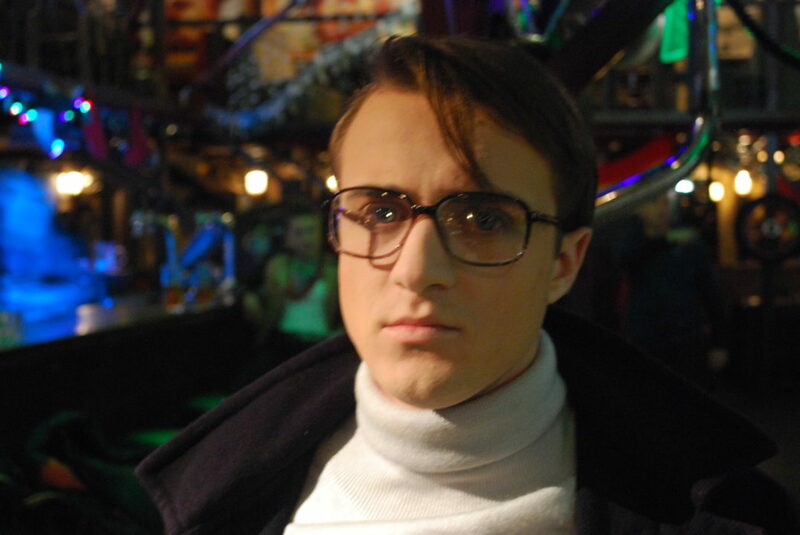 Ostap is another great professional actor in our cast. Extremely pleasant to work with, he has shown manners of a real gentleman and a very kind personality. Also, Ostap has given Craig’s character an absolutely astonishing voice. We’ll do our best to preserve the original manner and tone during the dubbing process. Thanks for your hard work, Ostap! 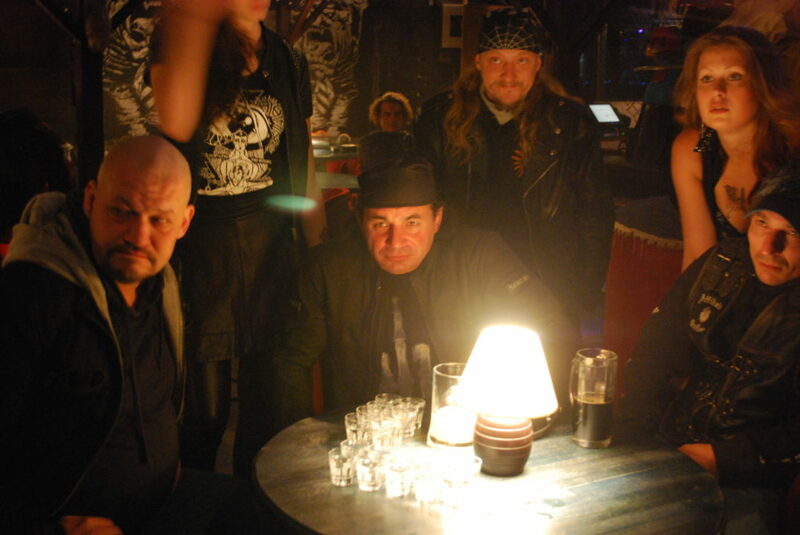 The fearsome motorbike gang leader, Crazy Ted, played by actor Kyiashko Sergei. (Also, check out the pretty waitress on the background.) Sergei has a very bright mind and a great sense of humour. Perhaps, these 2 components are what allowed him to play his character so fabulously. Sergei is a very flexible professional, able to adapt quickly to any issues that may arise during the filming process. Always opened to creative solutions and extremely charismatic, Sergei has made Ted’s character rich and lively, and all the backstage process fun and enjoyable. Three words: complex, exhausting, rewarding. Why? Well, because the whole scene was filmed in one single long take. Meaning that if something unexpected happened, everybody had to start over the scene from the very beginning. Over and over again. Thanks to an amazing level of professional skills, we we’re able to go through this process with minimal stress, but it still took all the night. That’s right, we started filming the scene around midnight and ended the whole thing by early morning, around 6 AM. We planned to start a bit earlier, but there were several unexpected incidents in the bar we’ve rented for the night. As soon as the ambulances left the place, the magic shout “Lights, Camera, Action” roared in the air. But in the end, everything was extremely rewarding. After finishing the last take, the whole filming crew just went crazy from the emotions! We’ve worked together for hours straight, supported each other and repeated every take until it was just perfect. Now we’ve moved on to the post-production phase. Very soon we hope to present you the final product, so stay in touch! Join our Facebook page to receive the latest news from RexTale Production as soon as we have them! Also, support our project by sharing the word with your friends and colleagues.